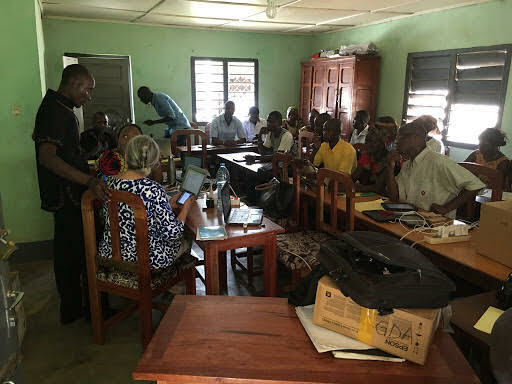 Researchers from Palo Alto University have been awarded a contract by Catholic Relief Services (CRS) to provide a scientific evaluation of trauma healing and peace education interventions under a grant from the United States Agency for International Development (USAID). The interventions are in the Central African Republic (CAR), a country that has experienced significant conflict since December 2012. In response to the conflict and the potential for genocide USAID issued a request for applications to provide support and reduce the likelihood of further escalation of the conflict. The Central African Interreligious Platform (IRP), Catholic Relief Services (CRS), Islamic Relief Worldwide (IRW), World Vision Inc. (WVI) and Aegis Trust have formed a Consortium mirroring the IRP’s interfaith structure to manifest solidarity with Central African Society. The aim of the Consortium is to leverage technical experience and private financing to support the IRP in designing and delivering a wide range of programs and services. The goal of the CAR Interfaith Peacebuilding Partnership (CIPP) is to support Central African institutions in developing a foundation for social cohesion in CAR. Through their respective networks, CIPP members have engaged private sector partners who share a commitment to building peace in CAR. In pursuit of its overarching objective, the CIPP will work towards three connected and complementary strategic objectives: Central African institutions assert their leadership role in building peace in CAR (Strategic Objective 1), livelihood security is strengthened as a foundation for peace (Strategic Objective 2) and trauma-healing and peace-education programs contribute to social cohesion (Strategic Objective 3). Trauma healing and peace education are activities that can contribute to breaking cycles of violence at individual and community levels, by way of disarming hearts and minds. Trauma healing decreases psychological distress and enables participants to be receptive to educational interventions that promote positive behaviors through critical thinking, empathy and personal responsibility. PAU’s team is participating in Strategic Objective 3 with Aegis Trust and is led by Dr. William Froming, PAU’s Provost. Dr. Karen Froming is the co-Principal Investigator. Drs. Lisa Brown and Sita Patel are associate principal investigators. The contract is funded for 2 years for $382,726. This outstanding work is part of PAU’s global efforts under the Institute for Global Mental Health www.igmh.paloaltou.edu.